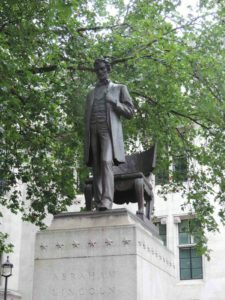 Abraham Lincoln never left the United States, but he’s got quite a prominent spot in the heart of London – Parliament Square. In this post, we pick up our scavenger hunt to find statues of American presidents in London. 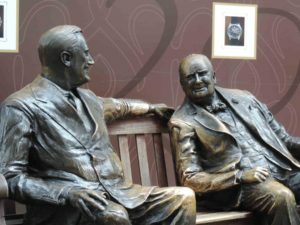 In our previous post, we nabbed three presidents (Eisenhower, Reagan and FDR) clustered outside the American embassy in Grovesnor Square. From there, we walked to Westminster Abbey with a detour through St. James’s Park – it’s beautiful. Despite Lincoln’s high-profile neighbors (such as Westminster Abbey), he attracts quite a bit of attention – lots of tourists stopped to take a picture. As he is often depicted, London’s Lincoln statue looks mournful, contemplative and sad. I saw a similar, but much smaller, statuette of this same Lincoln at the Metropolitan Museum of Art in New York City. 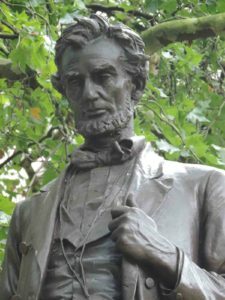 According to the Met’s website, the statue is copy of The Man (Standing Lincoln) by Augustus Saint-Gaudens, which was dedicated in Chicago’s Lincoln Park in 1887. Turns out, this London Lincoln statue is a copy of the Chicago original! 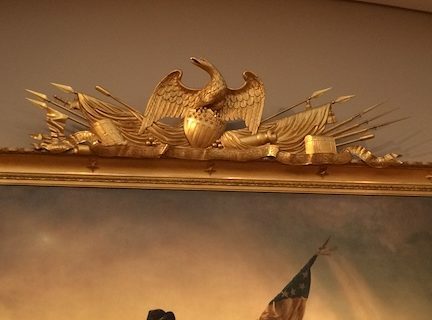 I feel like quite the art detective (maybe we’ll need to do a scavenger hunt of presidential statutes in Chicago). 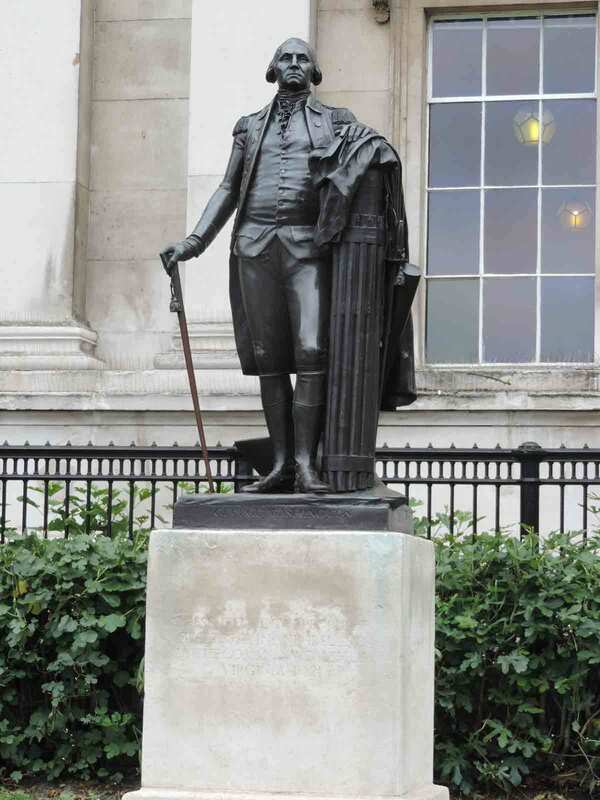 We also found George Washington in a familiar pose – have you seen a sculpture like this before? It’s a copy of one in Richmond, and there’s another one like it at the U.S. Capitol and in many other locations. Like Lincoln, Washington also has a prominent spot in London – Trafalgar Square in front of the National Gallery (We walked from Parliament Square, up Whitehall past 10 Downing Street and stopped to get a picture with the horses at the Horse Guard/Parade grounds, which included a warning that the horses bite). 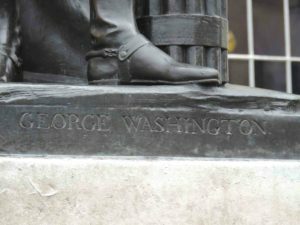 Look at GW’s stylish boot! Get this, GW may actually be standing on U.S. soil, dirt brought in from Virginia. Although he never traveled to Europe, the story goes that Washington said he would never stand on British soil (his family was originally from England). 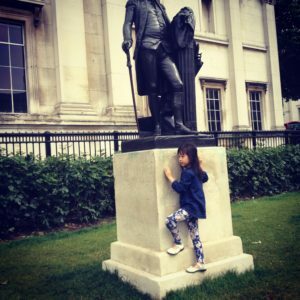 The Washington statue is also very popular with the tourists. In fact, some children were crawling on his base. I am not so sure how I feel about that. 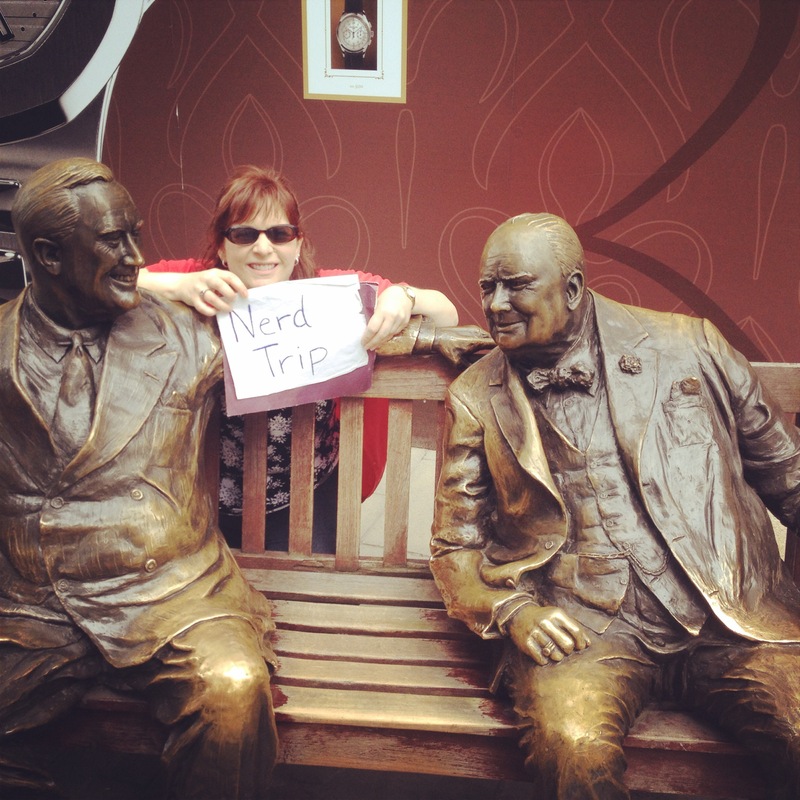 From Trafalgar Square, we headed to Bond Street and Grafton to find our second FDR statue. 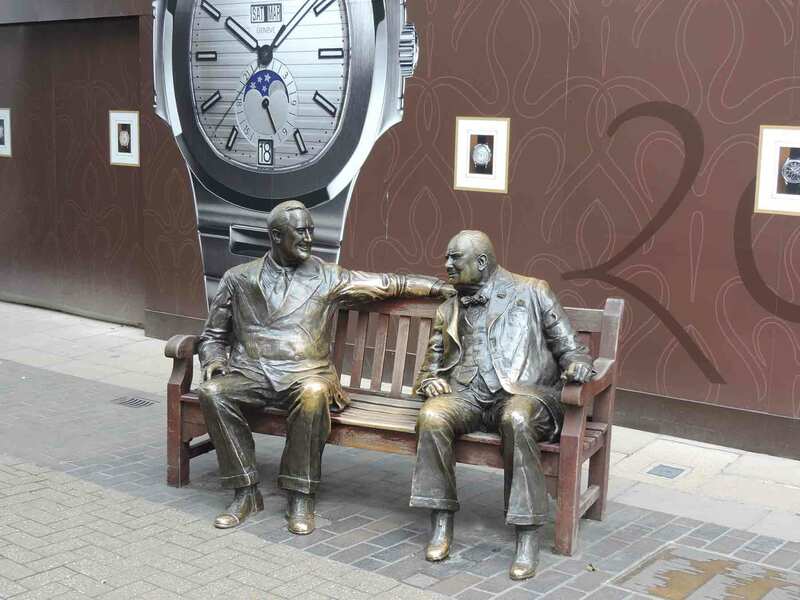 Unlike the statue in Grovesnor Square, this time, he is not alone. FDR is seated with Winston Churchill. It actually took us a little while to find this one. It is kind-of tucked away. The space between these two friends is a little close; so it would be very hard to sit between them, although we saw a small, older woman who did fit. They seem to be having a good time, so it’s probably best not to interrupt their conversation. We took a picture behind them. We had just one president to go, but we had been on our presidential scavenger hunt for nearly three hours. Honestly, the arches of my feet were aching from touring in the days before. 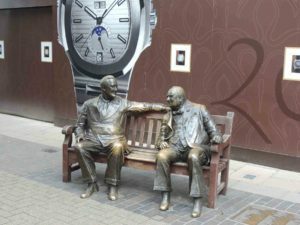 So in the next post, I’ll share a quick post on the JFK statue in London.